Geneva is a beautiful city that sits on Lake Geneva and below the Alpes which has great views of Mont Blanc. 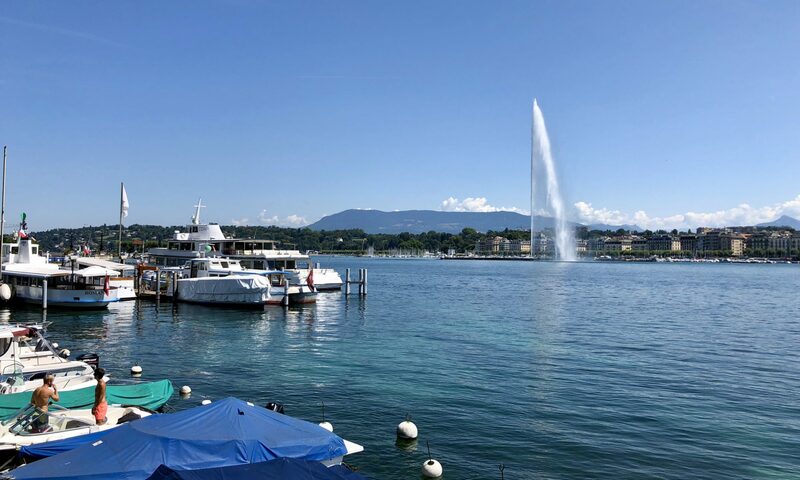 When you fly into Geneva you are allowed a free train ticket to the City Center area and/or 80 minutes in time. You can get pretty far in 80 minutes. Plan accordingly. As you leave the baggage claim there is a kiosk with your free ticket. The train station is in the airport and so easy to catch. Almost everyone speaks some English, however it is best to brush up on your French to be respectful. FYI I would like to remind you that Switzerland is it’s own country, they are not part of the EU. 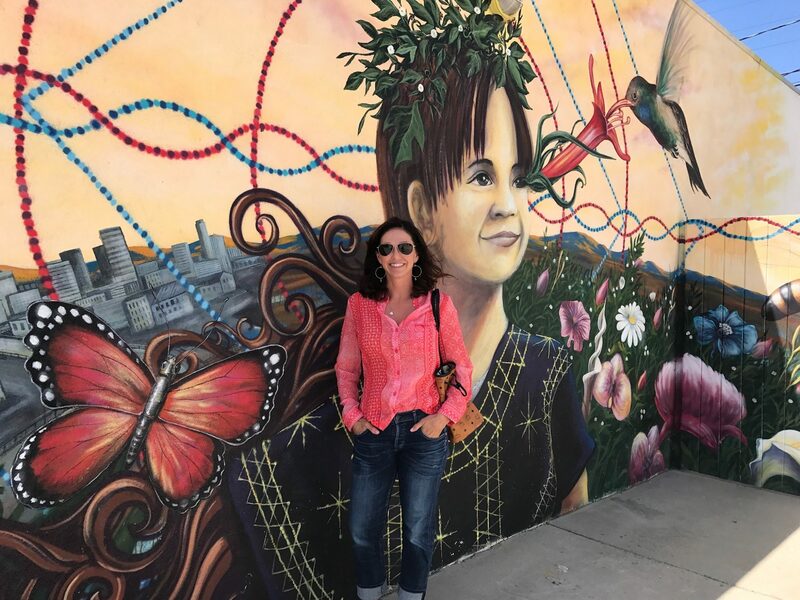 If you are purchasing anything that you want to get a tax-free refund from, you must do it in that city/country at a Global Blue office or at their airport. For example, if you are traveling by bus to France like I did and then flew out of a EU country, you cannot get your tax free refund. Geneva will have everything you want but for a price. There are no discounts or deals. Unless you’re looking to save on tax; buy at home. 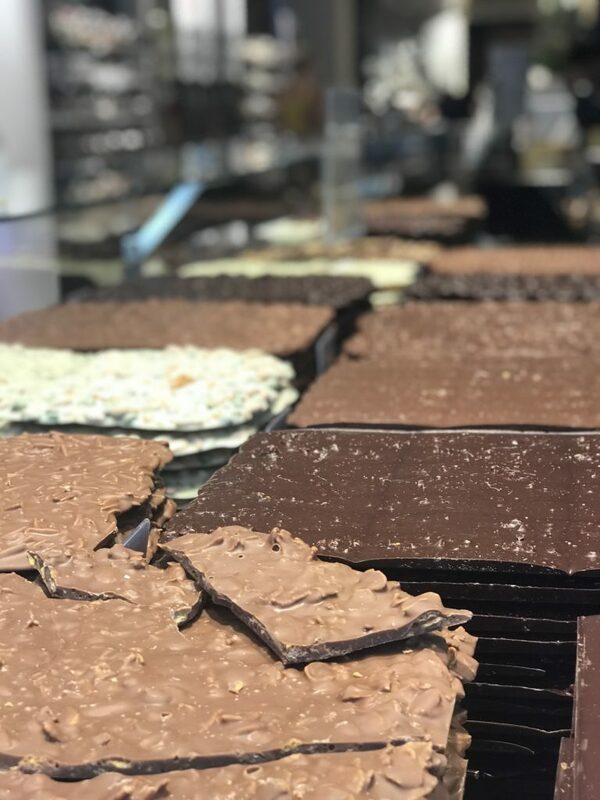 Most stores have minimum purchase of 300 CHF to get the VAT Tax free. 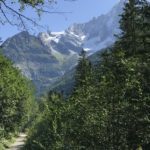 If you are going to be seeing a lot of Switzerland I recommend the Swiss Pass. You can download the SSB app. to get train times. 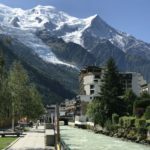 I spent one afternoon sight-seeing, before heading by bus to Les Houches to hike the Tour Mont Blanc. Jet d’Eau You can see this iconic fountain shooting up 140 meters into the air from just about anywhere. It was first built for energy to help the trades. Primarily the watch makers. 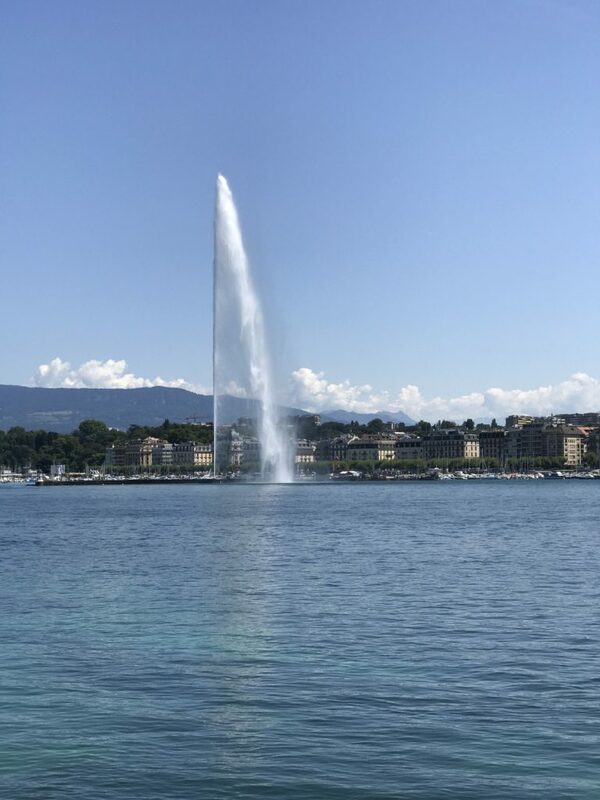 You can click on Jet d’Eau for a full report from the House of Switzerland. Parc des Bastion A beautiful park and I highly recommend going to see it and the sights it beholds. 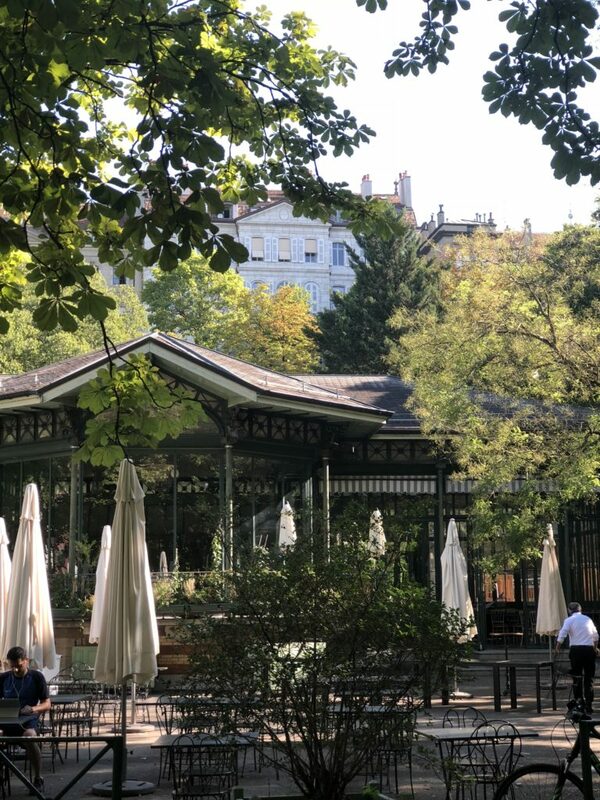 Located below the Old Town, the Parc des Bastions is a large green area in the city centre. The park is the site of Geneva’s first botanical garden. 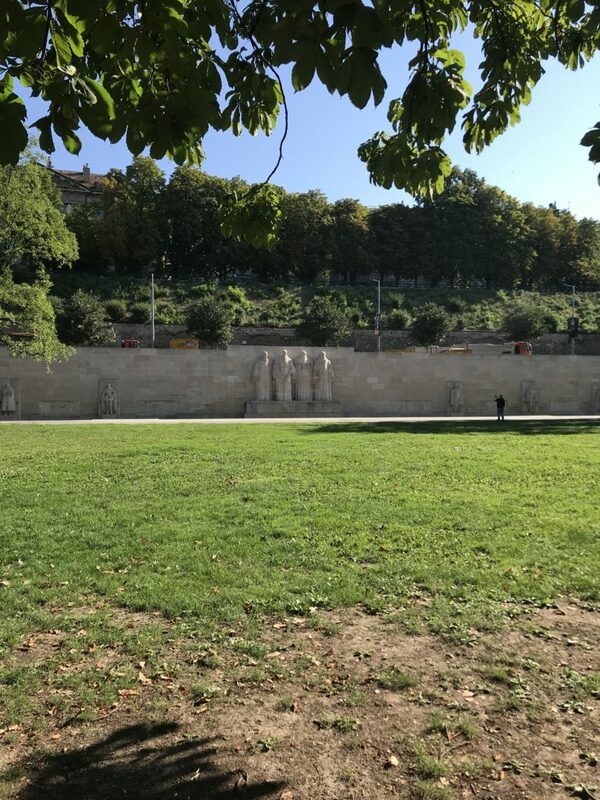 You can admire the famous Reformation Wall, which represents the personalities of the Reformation, the Palais Eynard, which houses the executive authorities of the city, or the University and Library of Geneva. 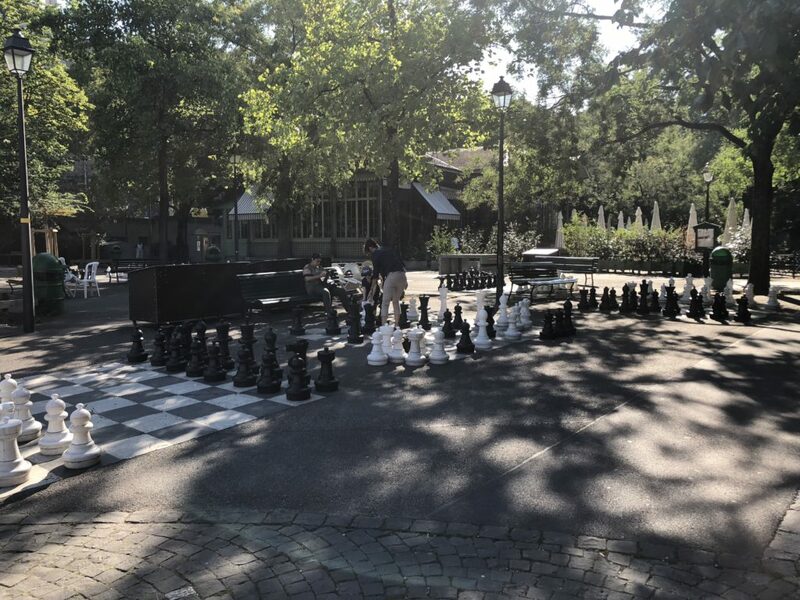 The bandstand hosts a restaurant, next to which the giant free chess sets are a delight for passersby. There is also a playground and a free skating rink in winter. The Reformation of the Christian Church had a place not only in Germany, and Switzerland but specifically with John Calvin in Geneva. St. Pierre Cathedral The St. Pierre cathedral in Geneva, Switzerland, was built as a Roman Catholic cathedral, but became a Reformed Protestant Church of Geneva church during the Reformation. It is known as the adopted home church of John Calvin, one of the leaders of the Protestant Reformation. 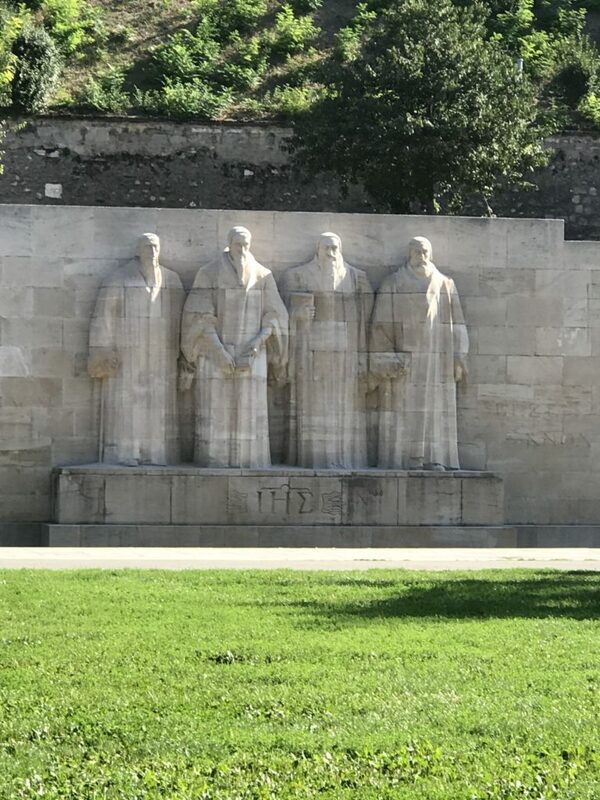 Reformation Wall Inside the Parc des Bastions, is the international monument of the great leaders of the Christian Reformation. The monument also includes important events and documents that changed the world as we know it today. The monument was built in 1909 for John Calvin’s 400th birthday. 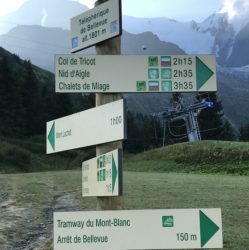 Other sites you can easily see walking are: The Jardin Anglais, L’horloge Fleurie, Musee d’artel d’Histoire, Bains des Paquis, Travel House, International Red Cross Museum, Palace of Nations-United Nations Building, Broken Chair.